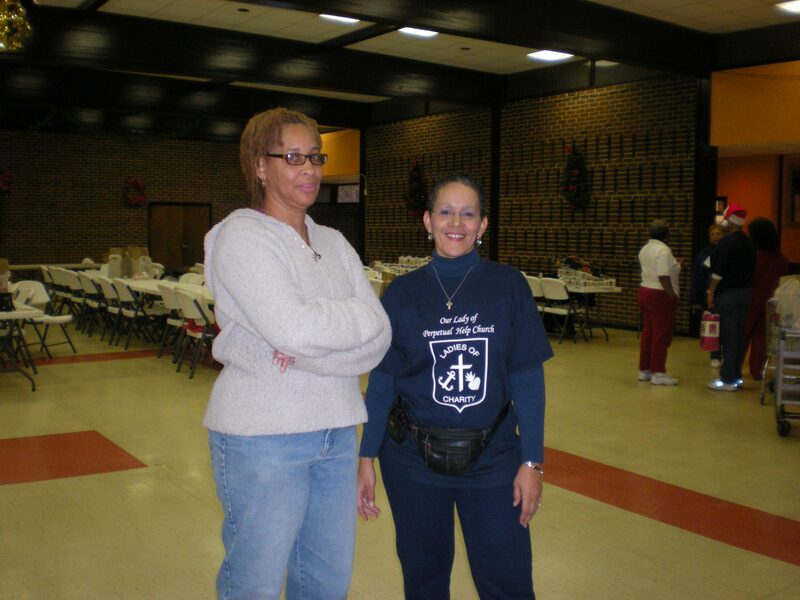 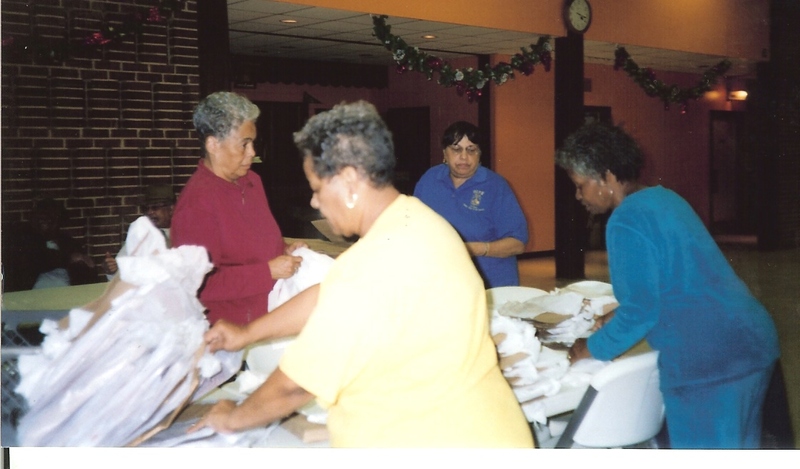 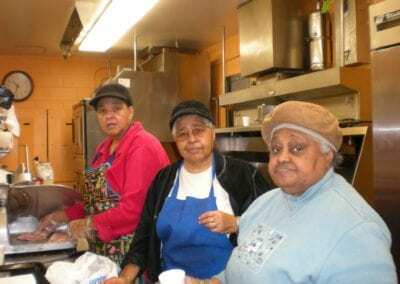 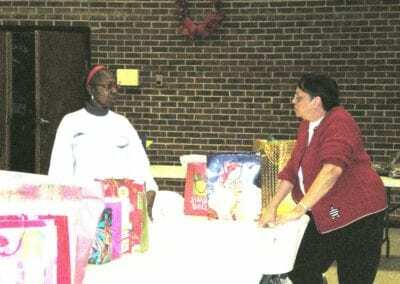 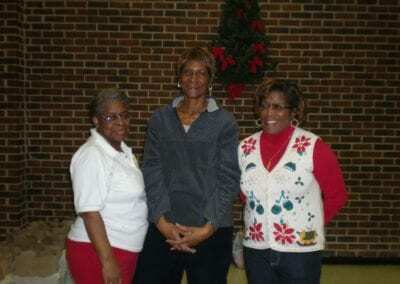 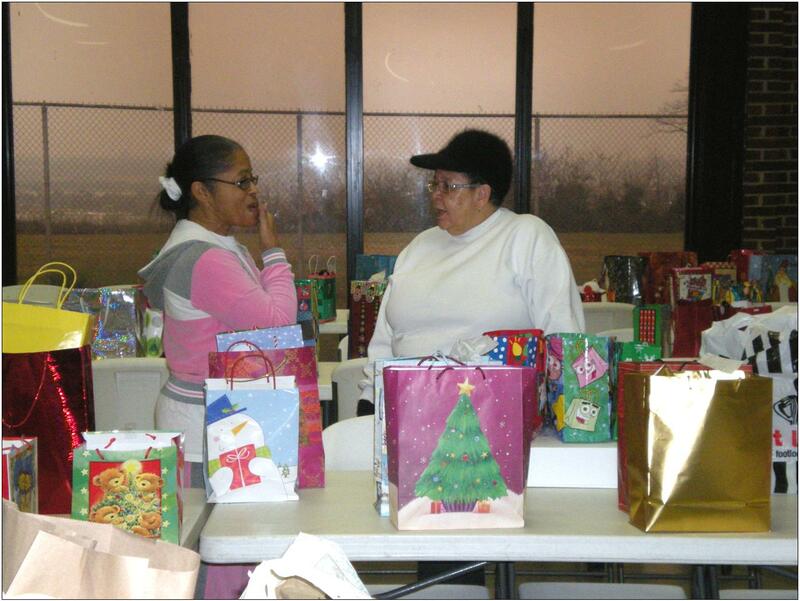 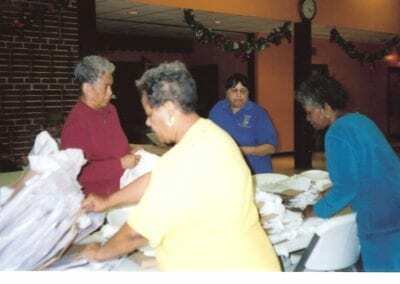 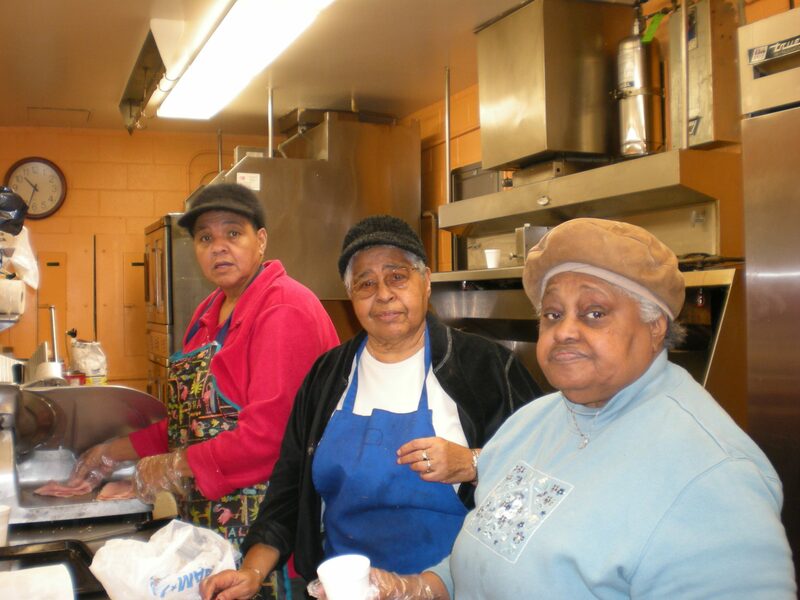 Each year the Ladies of Charity at Our Lady of Perpetual Help (OLPH) sponsor a Christmas Project to provide approx. 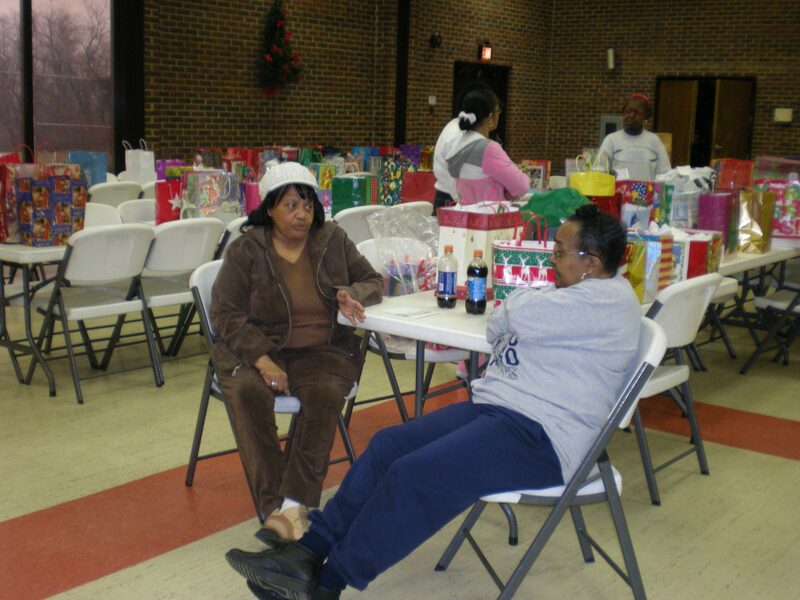 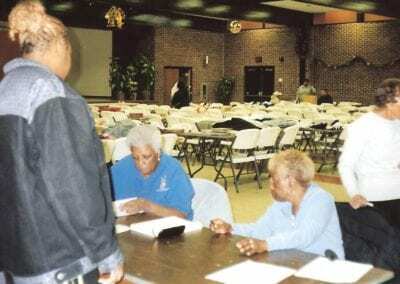 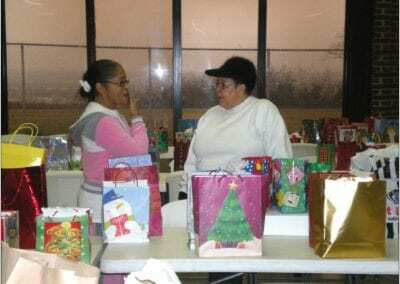 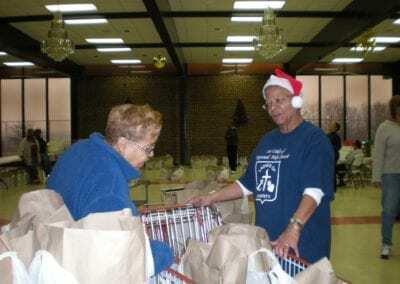 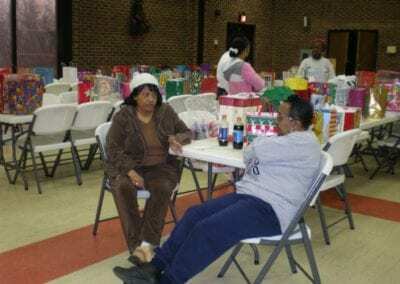 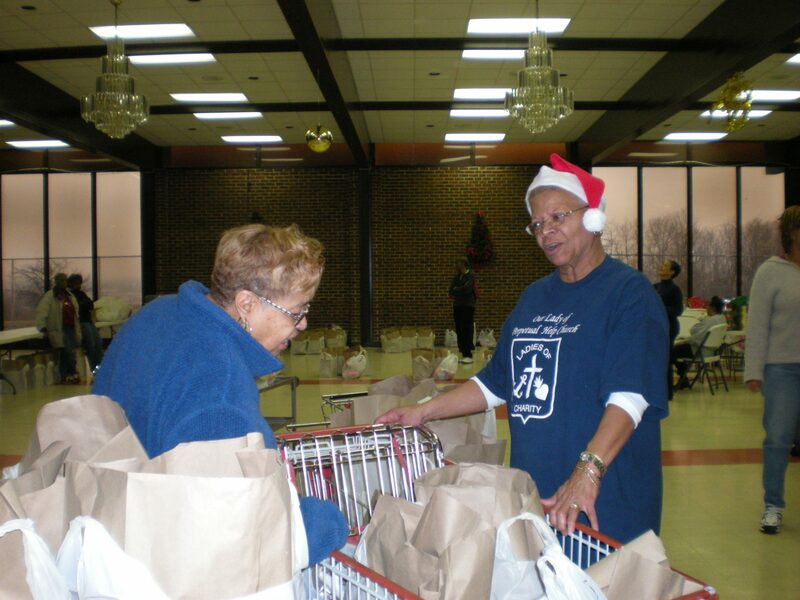 100 needy families with food, toys and clothing. 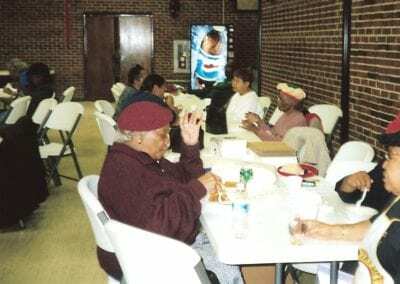 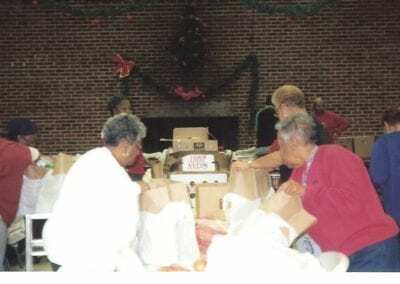 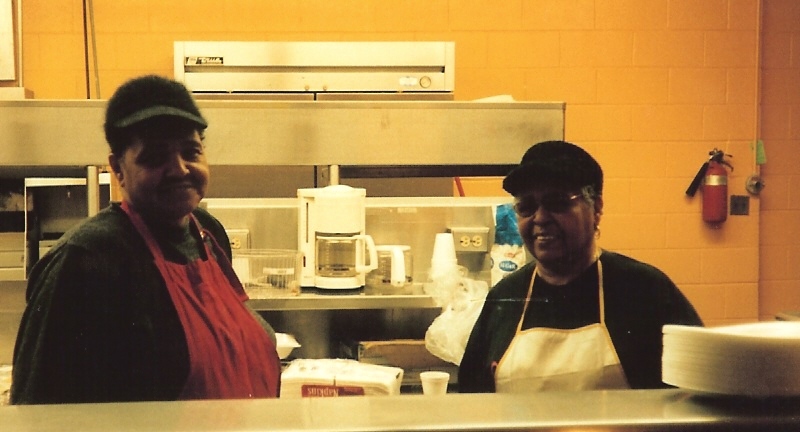 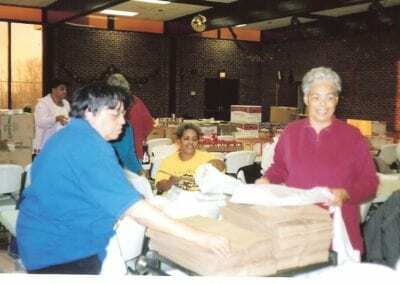 The food baskets contain enough canned and non-perishable food, fruits and vegetables, a turkey or ham, desserts and assorted meats for breakfast, lunch and dinner for a family of four. 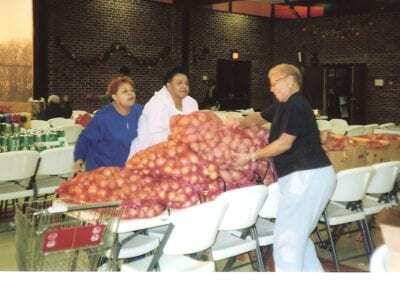 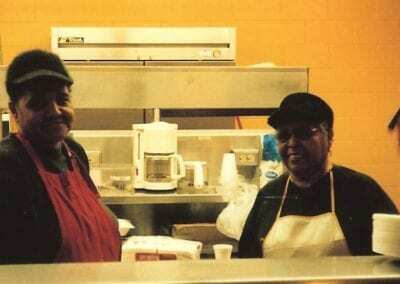 In addition, the ladies deliver approx. 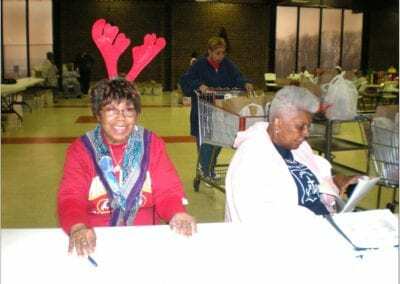 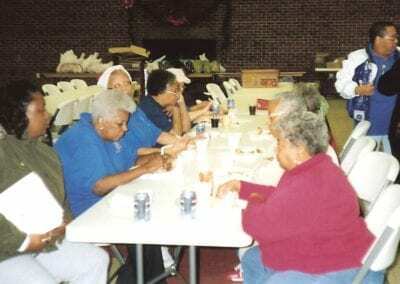 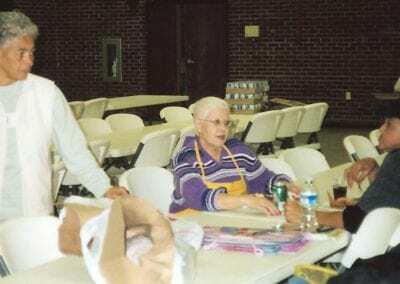 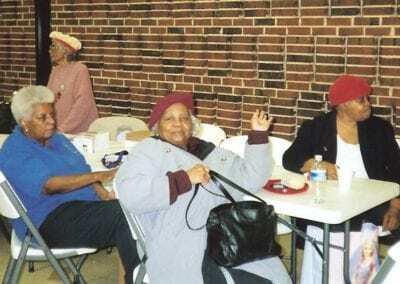 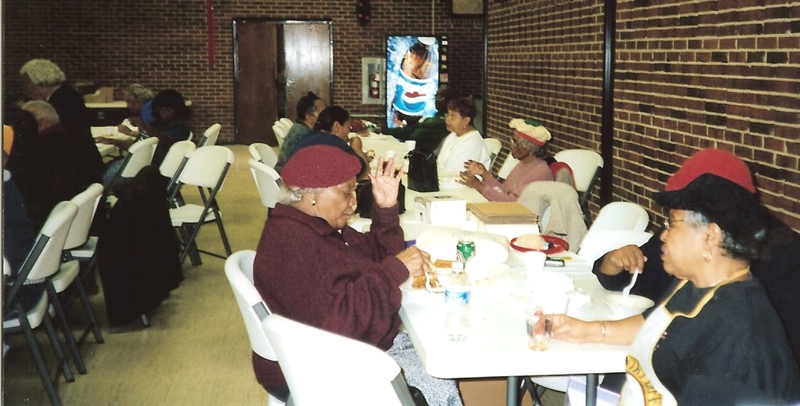 20 homebound or nursing home senior citizens with a fruit basket or a floral arrangement (those with diet restrictions). 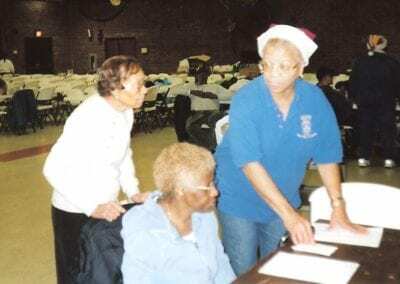 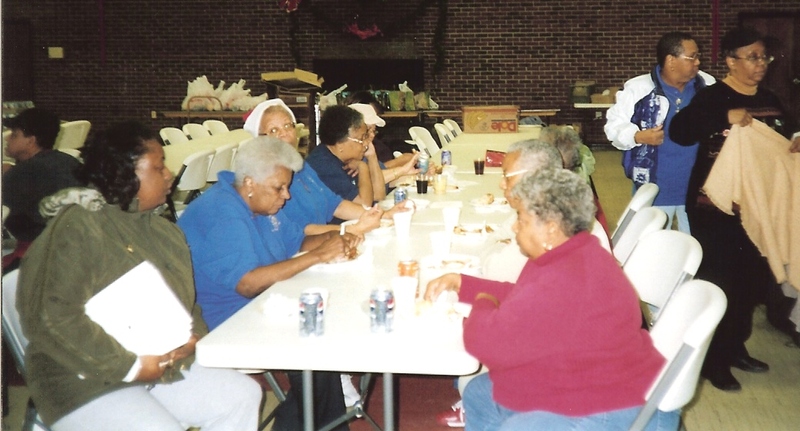 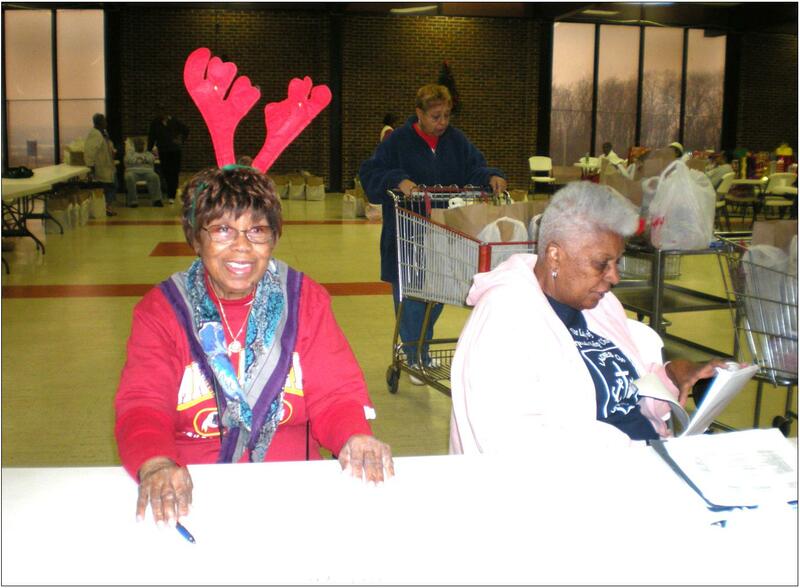 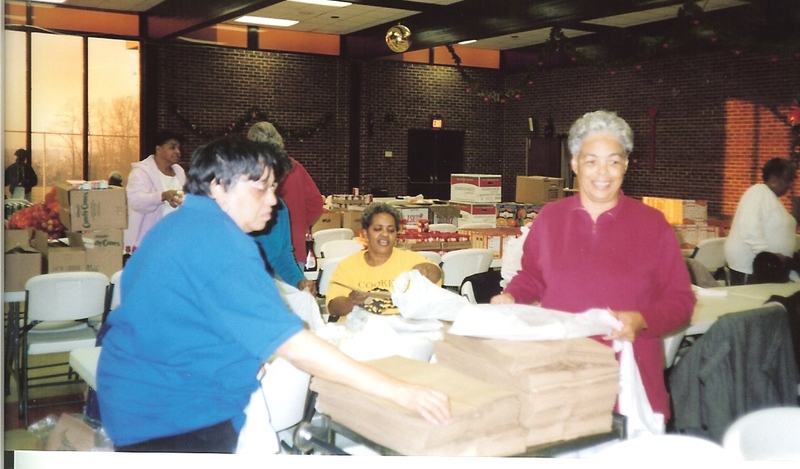 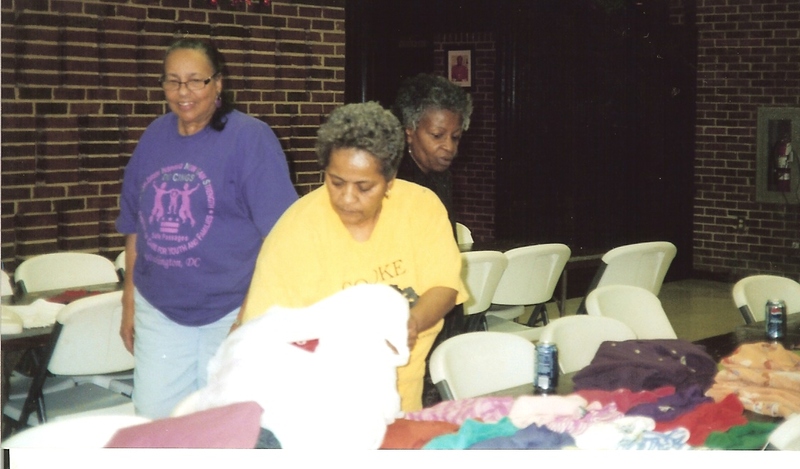 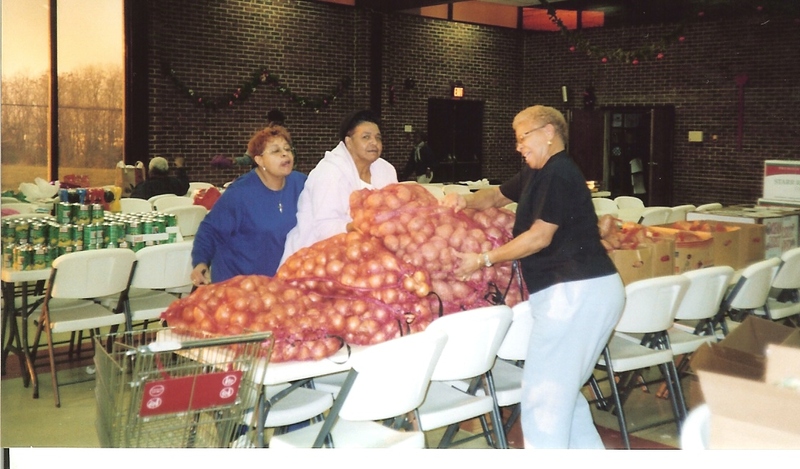 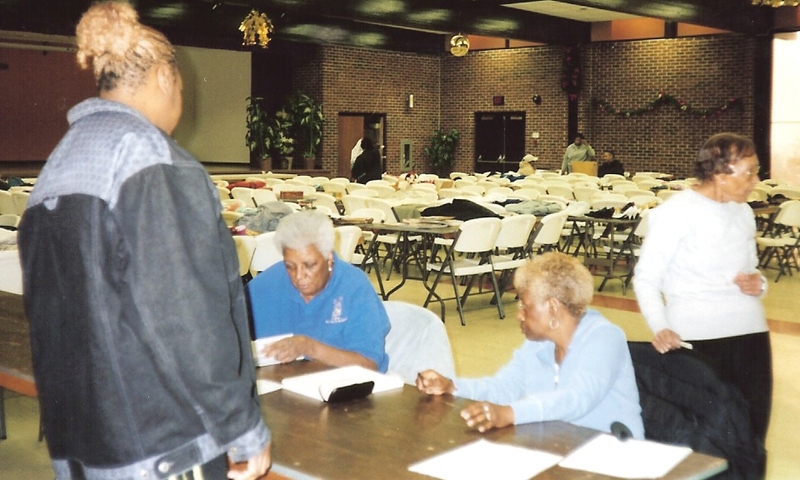 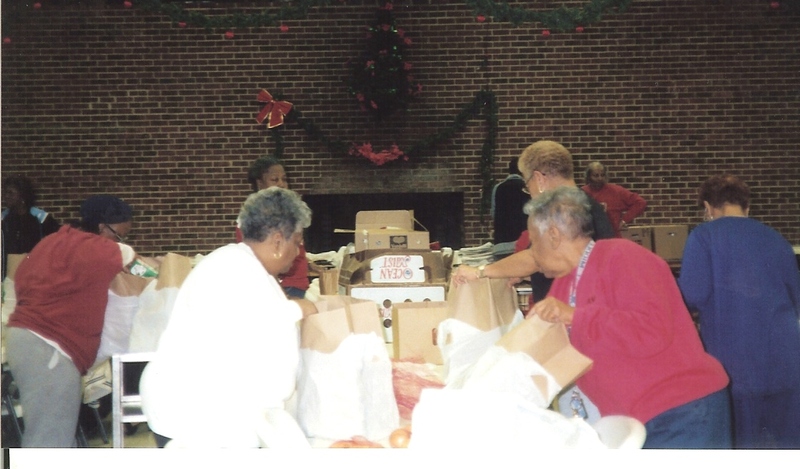 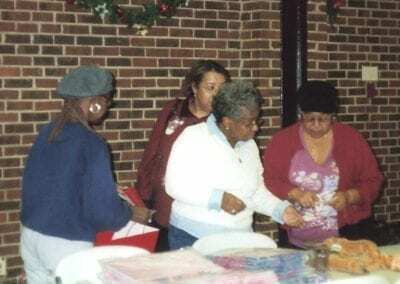 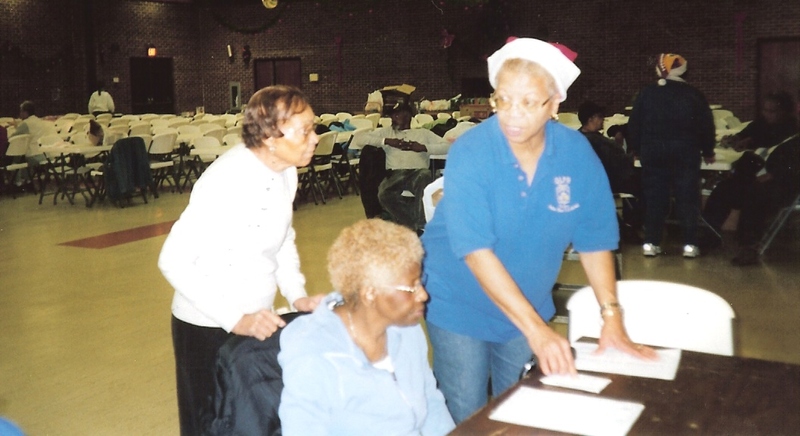 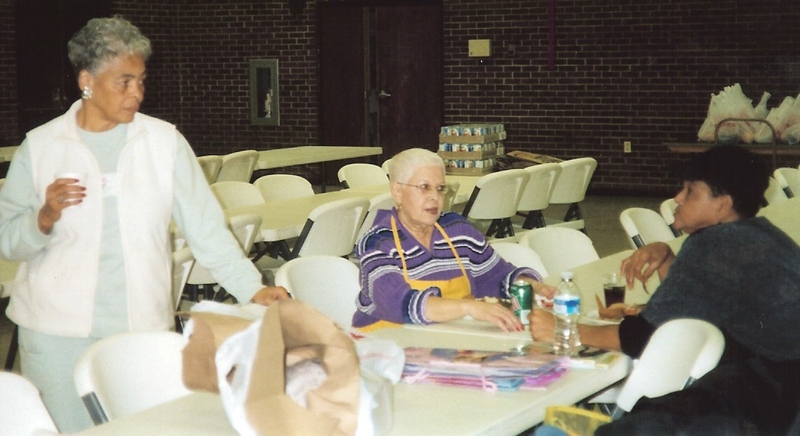 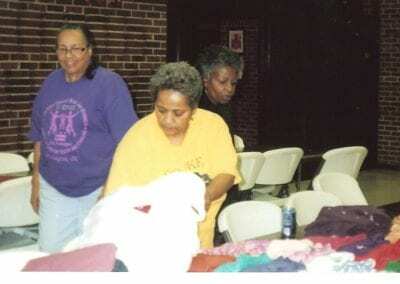 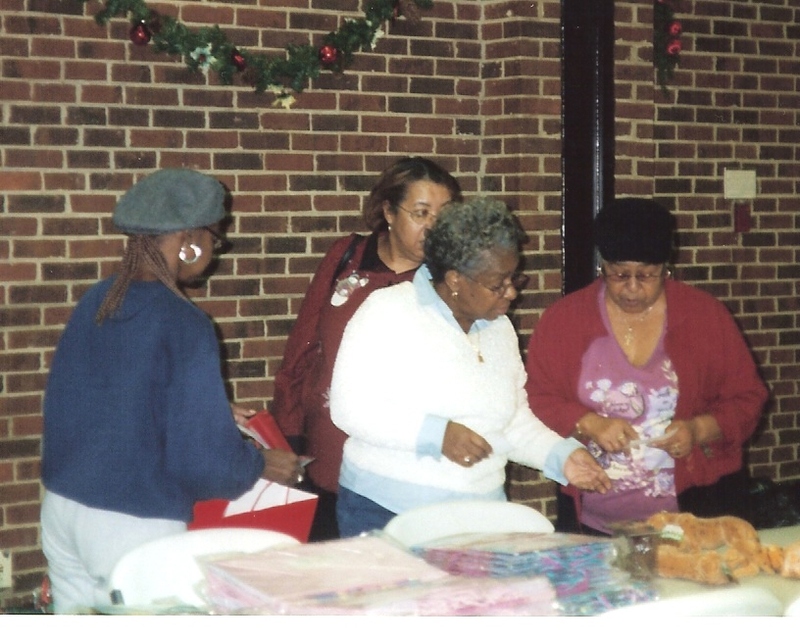 Pictured are members of the OLPH Ladies of Charity sorting clothes and toys, assembling food baskets, and distributing baskets to clients.